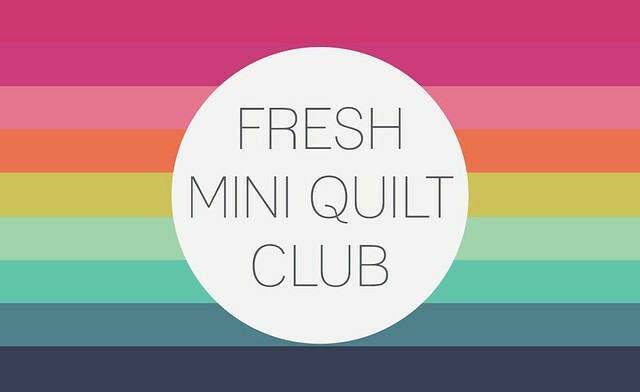 September 1st is right around the corner which means it's time to open registration for the Fresh Mini Quilt Club | Round 2! Tons of you joined in on the first round -- THANK YOU -- and I'm looking forward to sharing SIX NEW mini quilts with you starting October 1st, 2013. If you are new my blog and/or are wondering how this 6-month mini quilt club works, here are all the details! You bet! If you sign up after October 1st you'll receive the previous months' patterns within 2 business days. I am very interested!! Is there a way to get the previous patterns?? I signed up, but I did not receive an email with the first pattern. To be clear, is the cost listed for the total for six months, or is that per month? I just signed up last night and am wondering how soon I should expect to receive the quilt pattern? I sighned up the end of Aug and have not received anything yet on round 2. Will I be getting something soon? Thanks! I just signed up and can't wait to get started! Thank you for doing minis.